In Hastings Division we have 4 Rainbow units, 7 Brownie units and 2 Guide units. Each unit is led by an enthusiastic team of volunteers, and we currently have 64 volunteers who work hard to provide a varied and balanced programme for the girls. Units meet weekly in term time on different evenings of the week in various locations across Hastings. Some of our units offer residential events ranging from sleepovers and weekly holidays in indoor accommodation to camping on approved sites. As well as the weekly programme which is individual to each unit we have joint events both on a Division level, and a County level.in 2017 fifty members visited Disneyland Paris on a 4 day international trip. We support the town by taking part in Hastings Week, the annual Remembrance Parade and Hastings Music Festival, and also some of our adult volunteers set up and staff the tea station at the finish line at the Hastings Half Marathon . 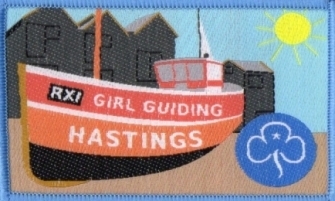 In Hasting Division we also have a Guide Shop where Uniform, badges and Girlguiding souvenirs can be purchased. 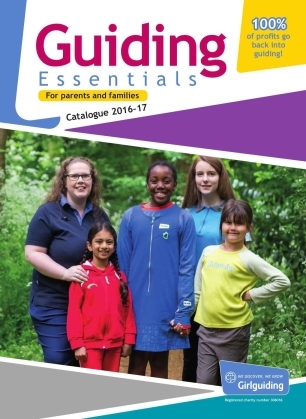 By using our local shop all profits go back into local Girlguiding to help with Activities, Badges and Division Events. To view Catalogue please click here and then please use the contact page to place your order and we will get back to you.